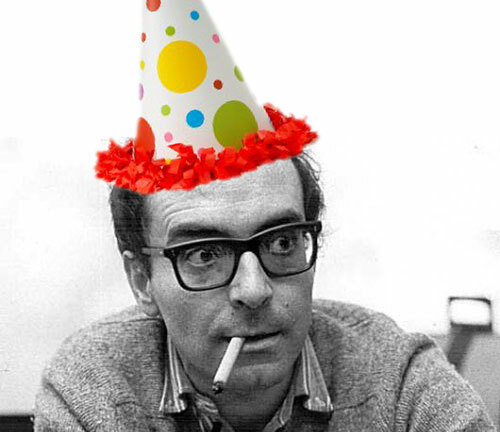 Today is Jean-Luc Godard’s 80th birthday. As a huge fan of French films, I feel a tiny bit obligated to celebrate. As such, here are my five favorite Godard films, in order. Bear in mind that I’ve only seen ten of his movies, so it’s not as if this is a completist’s list. I’d gladly welcome comments and/or recommendations for further Godard viewing. 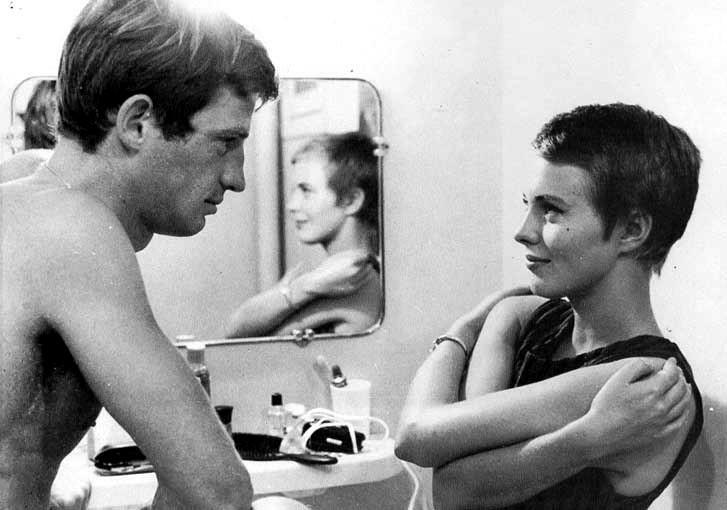 This was my introduction to Godard, and still stands as my favorite. The uses of blue and red, coupled with Jack Palance’s performance as the brash American, Fritz Lang as the director, the meta nature of the whole film (a film about making a film), the descent on the stairs towards the end and of course the actual ending, the stunning Brigitte Bardot, the incredible tracking shot to open the film… It’s a masterpiece. Here’s some footage early in the film with Palance being Palance, minus the one-armed pushups. Again, Godard’s use of color here is fantastic. And there’s one particular scene in the middle of the film that’s incredibly and uncomfortably long, a prime example of the types of New Wave techniques employed to shake up the filmmaking establishment. Yet again, Godard goes nuts with the tracking shots. This scene is one of cinema’s most iconic, and (frankly) it’s not even my favorite in the film. That speaks more to the quality of the film than it does this particular scene. When someone asks me about the French New Wave, this is invariably the first movie I recommend. It’s such a perfect introduction to the movement. Aww crap. I thought this was a Star Trek post! Pffft. How could it be his birthday? He hasn’t even been born yet. I honestly read it as Jean Luc Picard, and I’m not a Star Trek fan. But I’m obviously an under-cultured American. It’s too late to go back now. You’ve displayed a geeky side to yourself. I hope the blogger reads this. I read a lot of blogs and I’m bookmarking it. I liked what you did here. 90% of blogs are garbage. Thank you very much for the compliment, sir.